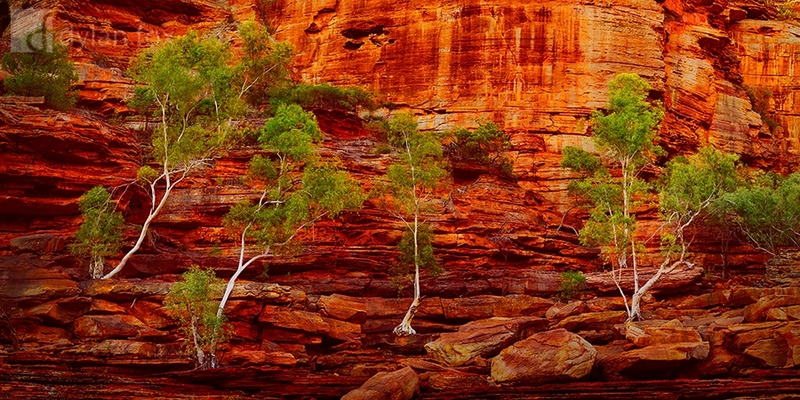 Trees at the base of a gorge along Western Australia's Murchison River, live life against the stunning orange and red hues of the rock walls. The colours I found in these gorges far exceeded my expectations. There certainly are some stunning untouched locations in Western Australia. Secure your limited edition, Kalbarri photographic print, 'Invigorate', by selecting your desired print size in the menu to the right.